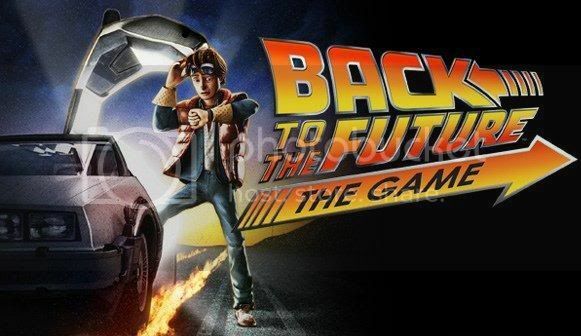 As was noted a few podcasts ago, Chris and Ryan (mainly Chris) have finally gotten into Telltale’s episodic games (most notably Sam and Max, Back to the Future). As much as you may dislike the format of playing an episode and waiting however long it takes for the next one (a month in the case of these games. Much longer in the case of Sonic 4), there is almost always a desire to see what happens next. That is, assuming the game is done correctly. Telltale has always been pretty good at concluding an episode with a cliffhanger, so it’s usually not a problem for them. But here’s where this turns interesting (tentatively): what if the format of this was switched up a bit? The aforementioned games can always be purchased at a later date when they are available in a package, and it usually turns out to be cheaper that way anyhow. That’s all fine and dandy. But what if there was a game, a game disc even, that made you play it in episodes? 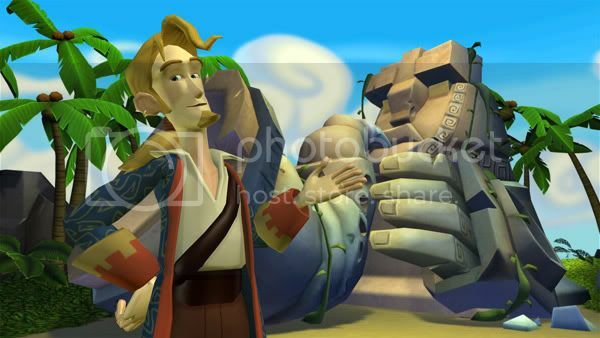 Oh Guybrush, you are wonderful. Before I start explaining this, yes, I am aware there are tons of flaws in this idea. Yes, there are workarounds (unless the devs found a way to keep that from happening). This is purely hypothetical – feel free to voice your opinion below in the comments. I’ve played hundreds of video games in my life, though very few that were split into episodes (aside from actual “episodic” games). Recently I replayed the Sly trilogy that was remastered for the PS3; my brother got it and I haven’t played the games since they were first released on the PS2. Each world is defined as an episode. Now, this would only really apply to the first game, being that I was able to beat it in about four and a half hours. Not just beat it, but get the platinum in it. To make a game like this last, and possibly keep you from subconsciously getting bored of the game, what if you were only able to finish an episode per day? I mean, sure, you can buy a tv series and watch it all at once to keep from the suspense. But so many people will watch it from week to week. Harry Potter gets people into the theaters every year. Why not try it with games? What if you weren’t able to change the system’s clock and play the next level? How would you feel about this? 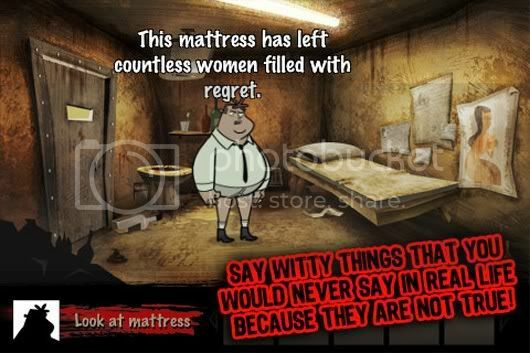 Hector: Badge of Carnage – making 2D Point and Click games cool again. Essentially, the gameplay would be an average of an hour for someone that knows what they are doing. Even if you don’t, it wouldn’t take too much longer. I could see this being good or bad, depending on what type of “gamer” you are. Rather, if you only play in short amounts, or if you play twelve hours straight. What if you could choose from multiple levels, and each gave you an approximate play time? What if the story adapted to whatever level you chose? Sort of like the artsy Prince of Persia, but not really (the level design differed depending on what path you took, but the story overall was the same). Would this make you play the game multiple times, or just keep you from playing it altogether? All right, enough of the “what if” questions. This isn’t some eccentric forum thread (though it could be). I want to know how you feel about this sort of idea. Would you be for it? What would you like to see in it? How would you make a game like this that works? Leave a comment below and let us know how you feel about episodic games. Help people see our episodic posts by sharing this article on Twitter, or show everyone that you support episodic blogs by sharing it on Facebook, Digg, or something else, as it helps our site grow. Paying for advertising? Why do that, when you can just follow Jason on Twitter, as well as Fist Full of Potions. If I like you enough, I’m bound to advertise for you. Besides, you wouldn’t want to miss out on all the awesome updates, would you?